Pumpkins are large orange fruits which grow above ground but rest on the floor because they get so heavy. You can buy pumpkin seeds at gardening shops but can also collect them from inside the pumpkin. I plant my pumpkin seeds at the start of April so they get big enough to go outside for the May sunshine. You can plant seeds you buy from a shop straight away but if you get them from inside a pumpkin dry the seeds in paper towel and leave them to for a week. When you cut the top of your pumpkin off to decorate it for Halloween the mushy orange stuff you scoop out is mixed with the seeds. Collect the seeds and dry as many as you want to plant.Did you know that lots of people eat pumpkin seeds; they are very good for you and taste delicious. Small plant pot or pots if you have space to grow more pumpkins. Some space in a garden or a large rectangle deep tub. A jug with some water. Water the soil with a little water where you are going to plant the seed. Plant the seed with the pointy end going down into the soil, this is so the root of the pumpkin plant grows down and the leaves grow up for the sunshine. 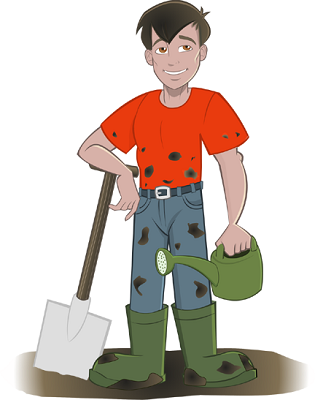 Plant the seed so you can cover it with a thin layer of soil on top for the leaves to grow through. Plant more than one pumpkin seed so if one does not sprout the other might. If they all sprout you can give them to your friends. The idea of planting seeds like this is to do it like nature does. Wild pumpkins drop their seeds, the seeds travel or stay put but until the next season the seeds wait to be covered by soil for water so they can sprout and grow. Water the soil until the pumpkin seed sprouts into a plant then take care of it inside until it is too big for its small plant pot. When it grows too big, plant it in its patch in the garden or a large tub filled with compost. Watch your pumpkin plant grow.